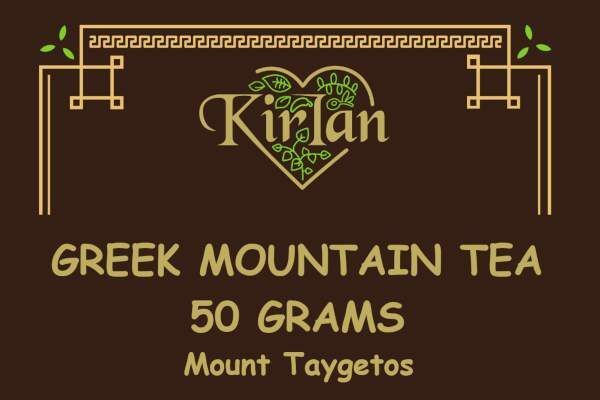 View cart “Greek Mountain Tea – 50 Grams (Mt Taygetos)” has been added to your cart. All Prices In Canadian Dollars. Ordering from the US? You Save! Packaged in a size for those who love to use lots of oregano! 60 grams of pure Greek Oregano in resealable quad-seal zipper lock packaging with the strongest vapour and moisture barrier available. You will love the aroma of this Greek Oregano and a little goes a long way to packing a bold taste punch in any of your dishes. 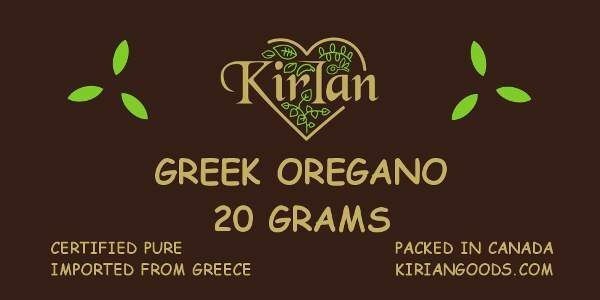 If you are looking for the true taste of real Greek oregano, you will love KirIan oregano! Purchased by top discerning chefs who recognize the high quality in aroma and taste. Our Oregano can be sent as a gift – tell us your gift message on the checkout page. You will love the aroma of this Greek Oregano and a little goes a long way to packing a bold taste punch in any of your dishes. 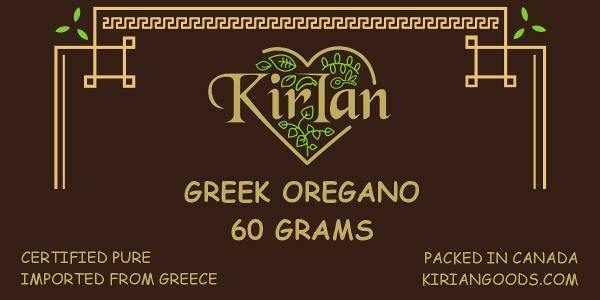 If you are looking for the true taste of real Greek oregano, you’ll love KirIan oregano! 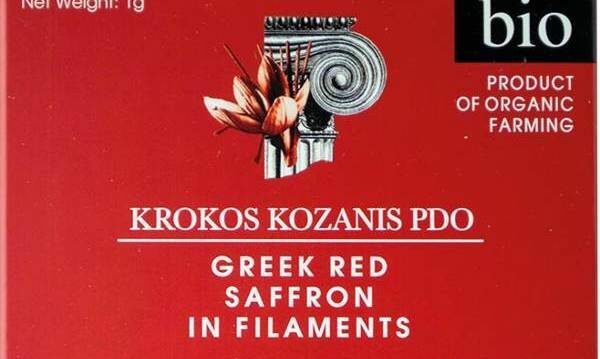 Our oregano has been imported from Greece and has been certified by The Food Allergins Lab in Athens, Greece. It has been harvested using environmentally safe practices, and is not illegally harvested “wild” oregano, yet has the same health benefits, taste and aroma. 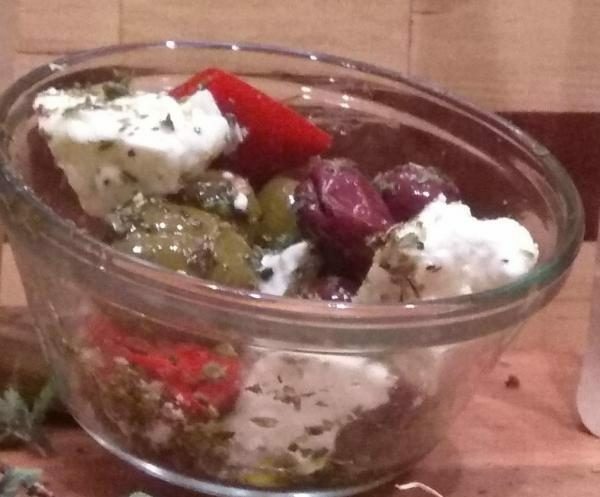 Use Greek oregano wherever you would normally use this herb – of course, it goes great in Greek dishes but also in Italian and other Mediterranean meals. But don’t stop there! Try it in a rub for meats, chicken, and fish – use it liberally on salads and in soups. The more you use, the stronger the health benefits! Have a cold? Many find oregano tea to be a wonderful cold and flu symptom reliever, and other regular drinkers of oregano tea say that regular consumption helps relieve arthritic symptoms as well as inflammation. Our 60-gram package is perfect for those who like to use oregano regularly, and the strong vapour/moisture barrier in the packaging will ensure freshness! Purchased by top discerning chefs. As a food blogger and organic gardener, one of the things I value most is good, healthy, pure food. The freshness of this oregano is unmatched by anything I’ve ever bought at a grocery store. You can smell the bright aroma even before opening the package – and the flavor? Absolutely delicious. I highly recommend this oregano! 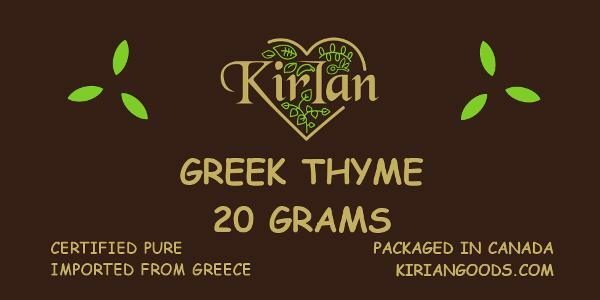 “This soup also provided an opportunity to sow praise on the pure and authentic Greek dried oregano that I received as a sample from KirIan Goods. I am hooked. As soon as you open the resealable bag that will keeps your herb fresh, you will notice the difference. The aroma is so unique, and since the oregano has arrived, I have been including oregano in virtually everything lately. The oregano that I have purchased at local stores is stale and bland by comparison. The bold flavor means you won’t need as much to add flair to whatever dish you add it to, so it will last longer. 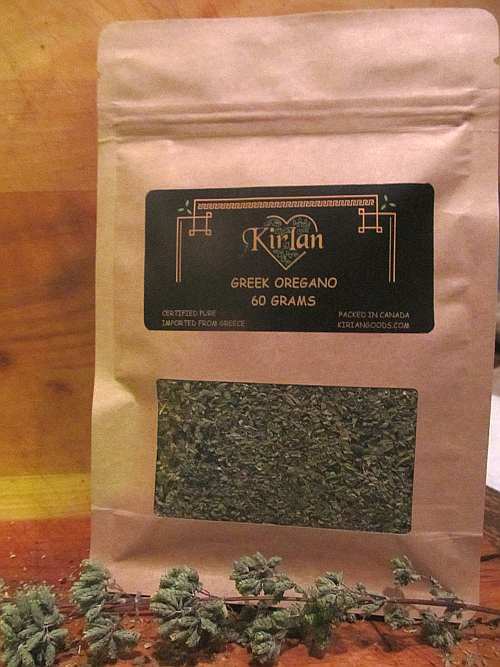 I shared some of my recently purchased KirIan Greek Oregano with a friend recently. I wasn’t really that surprised at his overwhelming enthusiasm for the aroma and quality of your oregano since he’s a prolific home chef and knows quality when he sees it. He was very impressed with the freshness and unique flavour of this product. He is now a total convert to KirIan Greek oregano!